Vikki Farrah advocates on behalf of home builders, land developers and other construction industry professionals. 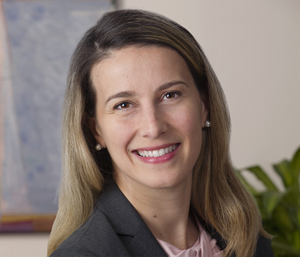 A member of the Shulman Rogers Commercial Litigation and Homebuilder Practice, she helps clients resolve disputes involving real estate transactions, land use entitlements and municipal law in local jurisdictions, with a focus on cost-effective deal enforcement and litigation avoidance. Prior to joining Shulman Rogers, Vikki was an associate at a law firm in Washington, D.C., where she practiced commercial litigation. She has significant civil litigation experience representing clients in disputes in state and federal courts, including litigating cases involving state and federal consumer protection laws, breach of contract, business torts, the False Claims Act and other matters. Vikki is a member of the District of Columbia and New York bars.